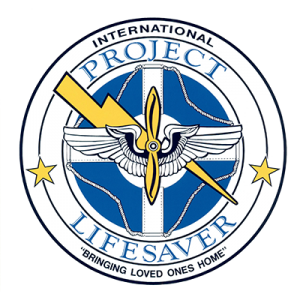 Project Lifesaver will be offered to individuals with Alzheimer’s disease or other forms of dementia who are at risk of wandering. A small personal transmitter can be worn, allowing local authorities to use radio frequency to find them if they are lost. Project Lifesaver provides timely response to save lives and reduce potential injury for adults who wander due to dementia. Working hand in hand with trained public safety agencies, Project Lifesaver facilitates locating the wandering care receiver. Care receivers enrolled in Project Lifesaver wear a small personal transmitter around the wrist or ankle that emits an individualized tracking signal. If the care receiver goes missing, the caregiver notifies their local Project Lifesaver agency, and a trained emergency team responds to the wanderer’s area to search for her or him. Many people with Alzheimer’s disease and other forms of dementia wander away from their home or caregiver. As the caregiver, you need to know how to limit wandering and prevent the person from becoming lost. This will help keep the person safe and give you greater peace of mind.